February 5, 2016 This post may contain affiliate links. Everyone has one (or three) of those meals that they keep up their sleeve – Go to Meals that are fail proof and yummy and everyone thinks you’re a hero when they smell it cooking. 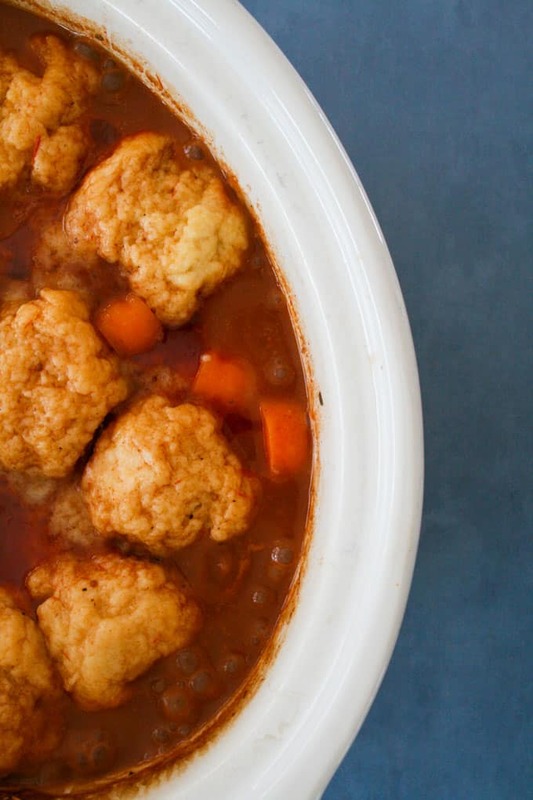 Beef Stew with Dumplings is that hero making kind of meal. 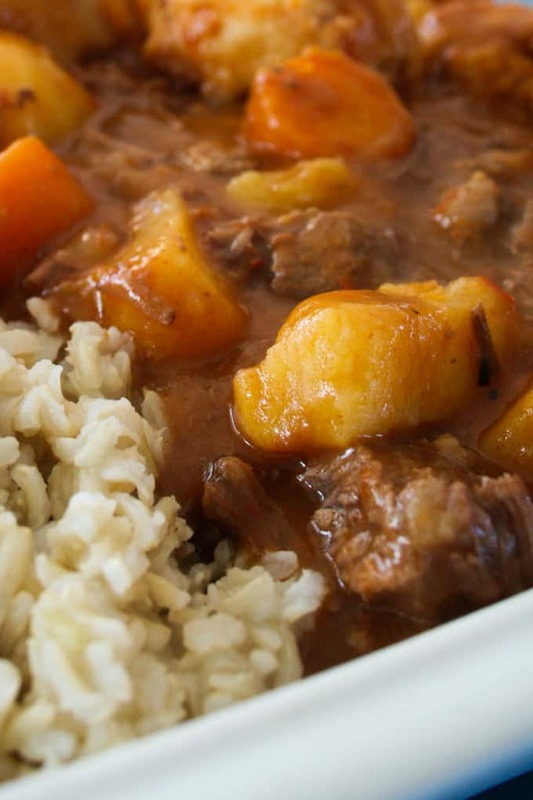 Rich gravy, tender meat and pure deliciousness in a one pot wonder. And then there’s the dumplings. 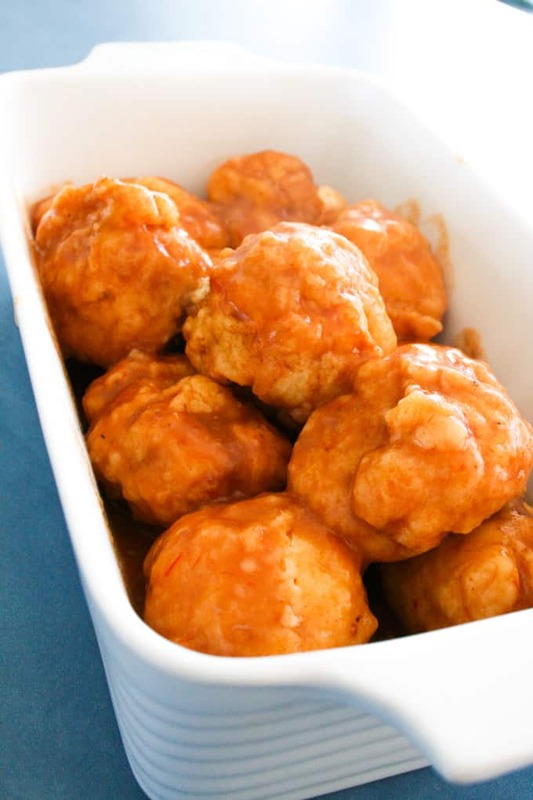 Now, don’t be tempted to skip the dumplings.They take around 60 seconds to make and lets face it, stew wouldn’t be the same without fluffy, gravy coated dumplings to soak up the last bit of gravy on your plate. I like to get this stew on the go round about mid morning. If you are using a tough cut of meat, then try to cook the meat first for 1 – 2 hours before adding the rest of the vegetables to the cooked. It just means that your meat will be super tender and vegetables will still be firm and hold their shape without turning too soft in the stew. Serve with brown basmati rice and you have a real winner that works well as leftover lunch or pie filling the next day. 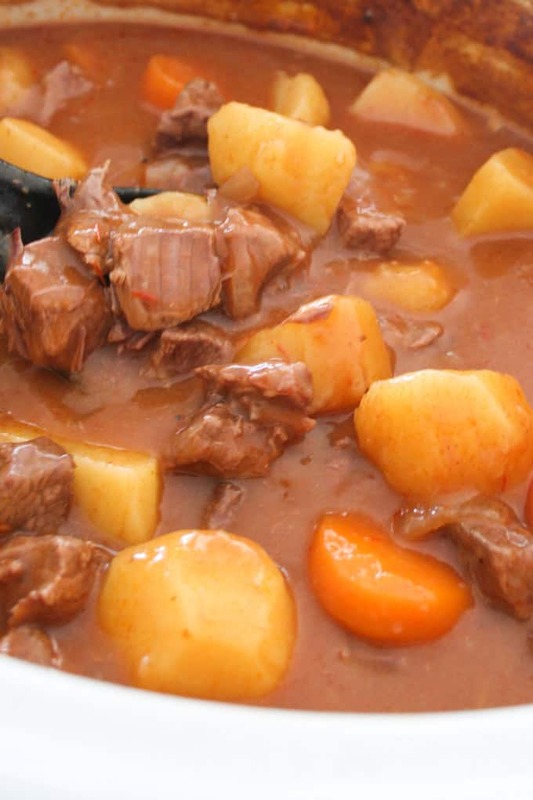 Add all ingredients to slow cooker except potato, carrots and flour. These will be added later so that it gives meat time to get tender.High Setting for 1 1/2 – 2 hours until meat is cooked through but still a bit tough. Add carrots and potatoes. Mix the flour together with a bit of water to form a paste. Stir into stew. Close the lid and cook for 1 – 1 1/2 hours. 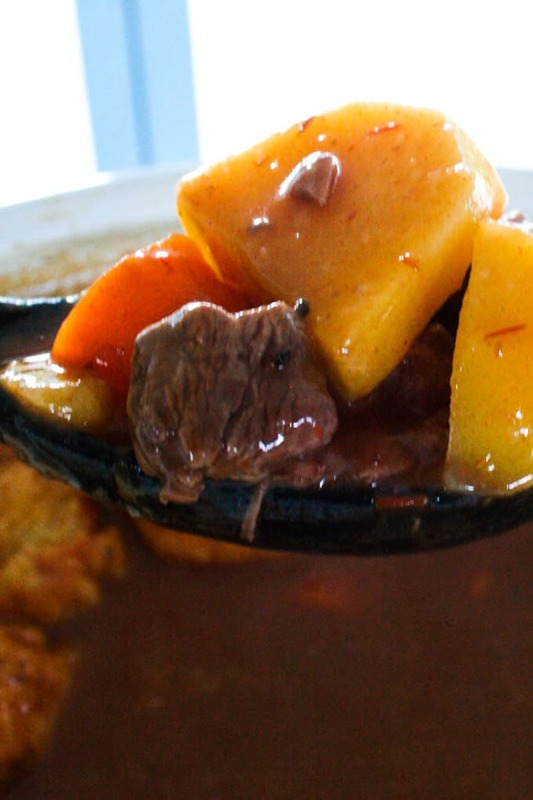 /2 an hour after adding your vegetables to your stew, its time to add the dumplings to the stew so that they can cook in the final hour. 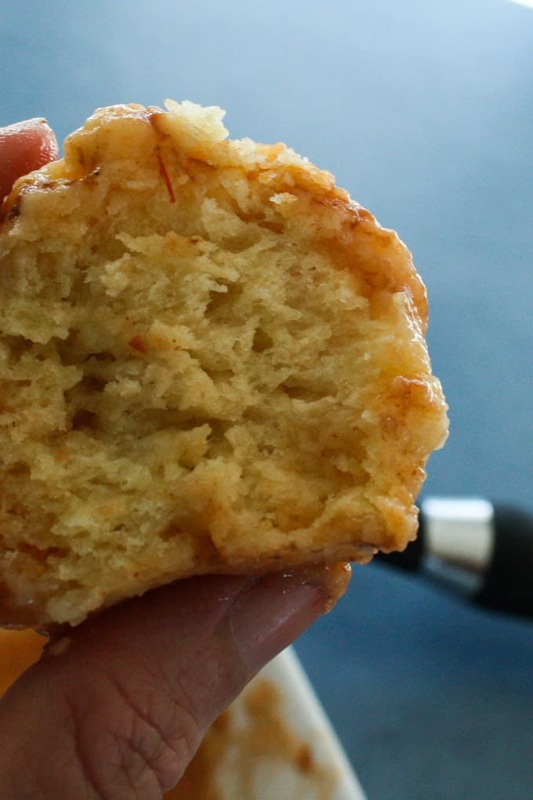 Using your hands, blend flour and butter until mixture resembles fine breadcrumbs. Add a bit of cold water (around 1/4 cup) so that it comes together as a pliable dough. Knead briefly until dough is smooth. Divide dough into walnut sized balls (Makes around 12 dumplings). 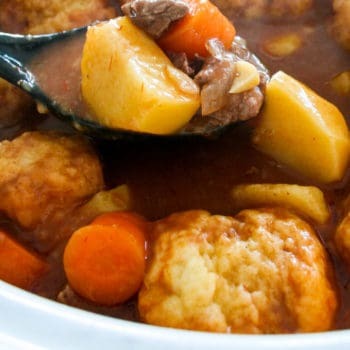 Put uncooked dumplings on top of the stew, pushing down slightly so that they are slightly submersed in gravy. Replace lid and cook for 1 hour.